There is a lot of interest, as of late, in hand to hand combat. The military has trained their soldiers in it for as long as there have been soldiers. Law Enforcement Officers also spend a lot of time learning how to subdue suspects with their hands. For good reason too, being able to subdue your enemy with your hands is the last resort, but you had better be able to perform when the time comes, or you’ll be hurting in a bad way. But not a lot is said about mouth-to-arm combat, or for that matter, mouth-to-leg combat. I guess that’s because, even if you get down on all fours, leap and bound in the best bear crawl ever performed, wrap your arms around someone’s leg and bite down: they may scream, they may even be concerned, but most people are not going to have that cold, incapacitating chill run down their spine. But when a dog does it, for whatever reason, people tend to crap their pants. Not fair, I agree, but nevertheless it’s true. It’s for this reason, I would like to discuss the benefits, techniques, tactics and procedures (TTPs) for employing a dog in close quarters combat. My last article focused primarily on Special Operations teams, but I’d like to broaden my application in these follow on articles to any tactical team. I won’t be getting into the legal and policy aspects that may be faced by Police, but trust that you can creatively determine how to apply these principles in your specific situations. I mentioned this in my last article, but it bears repeating, especially under this topic. People are afraid of dogs. You are afraid of dogs. Don’t think so? 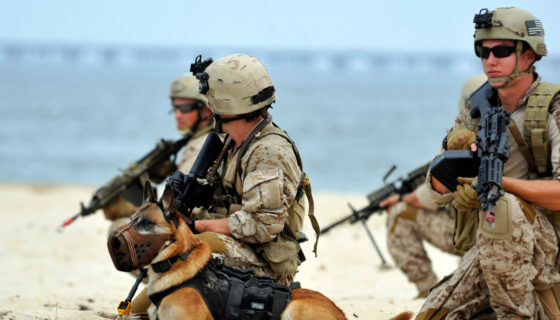 If I deployed my dog on you while you are sitting in the very chair that you are reading this article from, and you see a dog in full run toward you, knowing full well they are going to bite when they get there, you will be afraid, you will be very afraid. That’s just how we are as humans. Most people that I put in a bite suit for the first time are afraid just before the dog is released. So how do we make the best use of this fear in combat? 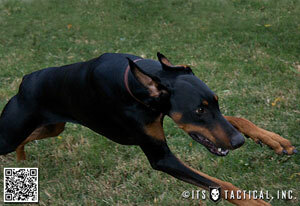 Tactical teams may want to make the presence of the dog known before a raid or entry. This would only be done when the element of surprise has already been lost. Frequently, hostiles will give themselves up rather than face the possibility that a dog will bite them. But even if they do not give themselves up, it places added stress on the enemy combatants. They know that there are not only armed men to worry about, but a four legged mouth transportation unit (MTU) that may very well sink it’s canines into their nether regions. However, there can be an equally beneficial aspect by keeping the presence of the dog completely unknown to your adversary. In WWII, the Nazi SS dog Teams would place their dogs in down-stay positions on the opposite side of the road from their ambush. The dogs were trained to attack the personnel on the road as soon as the Nazis started firing. As long as the shooters kept their fire above waist level, the dogs were almost never injured. The initial gunfire obviously drew the attention of the men being ambushed in the direction of the shooters, only to have dog “come out of nowhere” and begin biting them in the arms and legs. This would throw the ambushees into such confusion that they have almost no chance of mounting a counter attack (the only real defense against a near ambush). So dogs are scary, even if you don’t know they are there until they’re already biting you, but how do you train for and develop TTPs for using them on a tactical team? One of the greatest weaknesses in the popular method of dog training for both law enforcement and military (at least in the United States) is the failure to train dogs to fight. Allow me to provide a metaphor to demonstrate what I mean. Imagine yourself in the Octagon (MMA fighting ring) with the biggest, baddest fighter you know of. You touch gloves, the bell rings, and you run up to him grabbing his arm (only one) and hold on while he pummels you into unconsciousness. Now imagine that instead of the Octagon, you are on the street, and this fighter has a gun or knife in his other hand (you know, the one you are ignoring). Would you possibly draw the conclusion that you won the fight, or were at all effective, because you held on that that one arm while being beaten, stabbed or shot? I think not! So why is it that we think our dogs are being effective when trained to bite and hang on to a single arm despite the fact that the other arm has a weapon in it? Dogs must be allowed to fight in their natural state of biting (with their canines), while being trained how to specifically combat a man. The only way this can be accomplished is for the dog to consistently combat men at higher and higher levels of intensity. Dogs on tactical teams must be trained to fight! One of the greatest benefits to the way that a dog fights and bites is that they tend to incapacitate the wrists and forearms of their opponents. With sharp canine teeth penetrating and ripping through the muscle and flesh of an arm, the arm quickly becomes incapable of functioning. 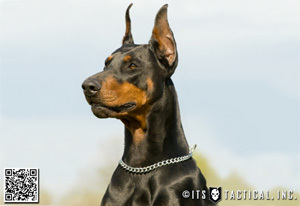 A dog on a tactical team must target the weapon hand, and re-target in the event that the other hand becomes a threat. Any soldier or law enforcement officer will tell you that the most dangerous part of a man is his hands. He holds guns and knives in them. He can strike you with them. If you disable the hands, you largely remove the threat that the man can bring upon you. Dogs trained to fight will quickly incapacitate a man’s forearms and wrists, rendering him incapable of operating a firearm, holding a knife, or even pushing the “ALLAH AKBAR!!!!!! !” button. Dogs trained to bite are a liability. The man is shot and killed, falling to the floor lifeless. The man ceases to resist, but there is another threat. The man is under the control of his team members. One of his teammates is being attacked and requires his assistance. The man has fallen to the floor, curled up into the fetal position and began crying and/or sucking his thumb. Any of these situations (and more) may be reasons that the dog should be trained to stop fighting and re-target. But don’t be fooled, the man that was crying in the fetal position a few seconds ago can become a threat again only moments later. The key to training an effective dog is the same as training an effective soldier, you teach the basics and then begin introducing various different situations that they have to react to. 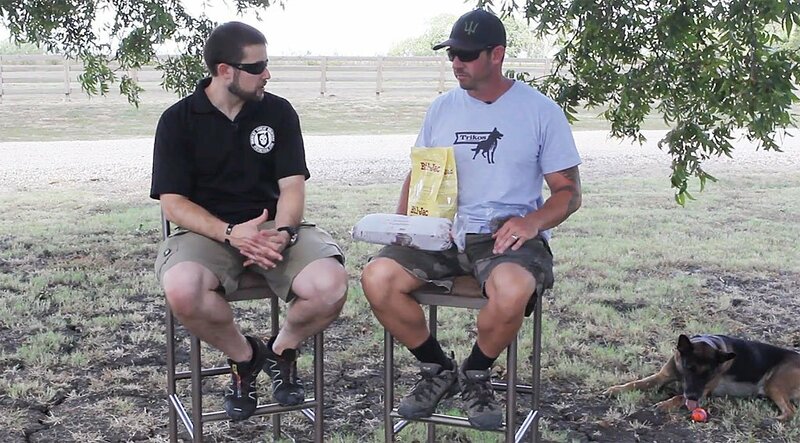 Continue training failure situations until your Team and your K-9 master that situation. Then move on to the next situation. One of the distinctions between a team dog and a Law Enforcement patrol dog, is that the team dog must respond to commands from any member on the team. There may be a primary handler and a secondary handler (in fact this should definitely be the case) but the dog must still be trained to respond to any team member. If the handler goes down, the mission must continue. If the dog goes down, the mission must continue. The mission must be top priority despite who on the team may go down. But in terms of the dog fighting with combatants, there may be times when the dog must stop fighting and return instantly to the team. This must occur instantly upon command. There is no room for failure in this area. Close Quarters fighting is so fast and dynamic that the dog must respond to all commands without hesitation, but especially calling off of targets immediately. Some of the reasons this is so critical is that there may be a greater threat that needs to be addressed; the dog may have inadvertently targeted a non-combatant; the dog may continue biting someone that is no longer a threat and the team needs to move on. But above all else, the dog must never slow the progress of the team. If you are intending to integrate a dog into a tactical team, then you must train your dog to fight, not just bite. Your life, and the life of your team will depend on it. Join us next time as we discuss in more detail, the combat capabilities of a dog and how they fulfill the role of an Unmanned Ground Vehicle (UGV). Until next time, this is Joel with Dunetos K-9, helping sharpen our world…one dog at a time.